Schaefer SFT-1200 12" Shutter-Style Exhaust Fan, great for greenhouses . 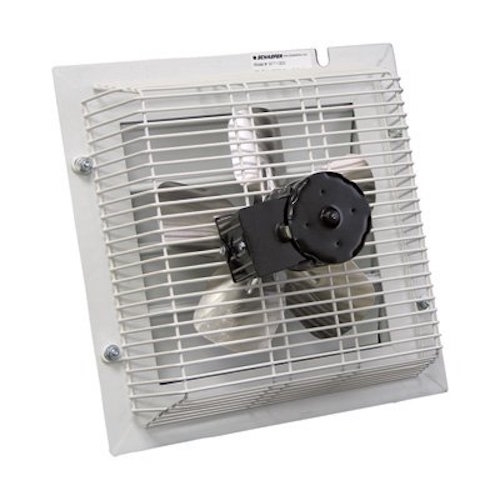 Low-maintenance, energy-efficient solution for low to medium airflow. Features an aluminum blade, powder-coated guards, durable PVC shutters and an enclosed heavy-duty motor. Hardwired electrical connection required. Mounts flush to exterior wall. Dimensions: L x W x H 8 ⅜" x 14 ⅞" x 14 ⅞"